Entrance examination results for Philippine Science High School (PSHS) known as National Competitive Examination (NCE) were already released online, December 24, 2013. Out of 22,657 applicants who took the exam, only 1,231 passed in the system's 11 campuses nationwide. The entrance examination was conducted on October 12, 2013. Originally scheduled on September 28 but has been moved due to bad weather conditions. NCE results release this year was earlier than the expected January 2014 scheduled announcement. PSHS NCE examination is paper-based scholastic aptitude test designed to measure Scientific Ability, Quantitative Ability, Abstract Reasoning and Verbal Aptitude of applicants, according to the Department of Science and Technology (DOST). 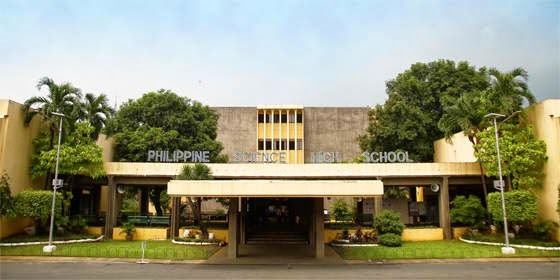 The DOST continuously encourages students to pursue science and technology (S&T) courses through several means, two of which are the (1) Philippine Science High School (PSHS) system for the high school level and (2) DOST Science Education Institute (SEI) scholarships for the undergraduate level. Both approaches provide scholarship benefits to successful examinees, allowing them to pursue their studies, with strong encouragement to follow the S&T track. PSHS started to accept applications for SY 2014-2015 last July. In the following months, DOST released free online reviewer tool for the examinees. The 2014 Philippine Science High School (PSHS) NCE Passers list can be accessed here.